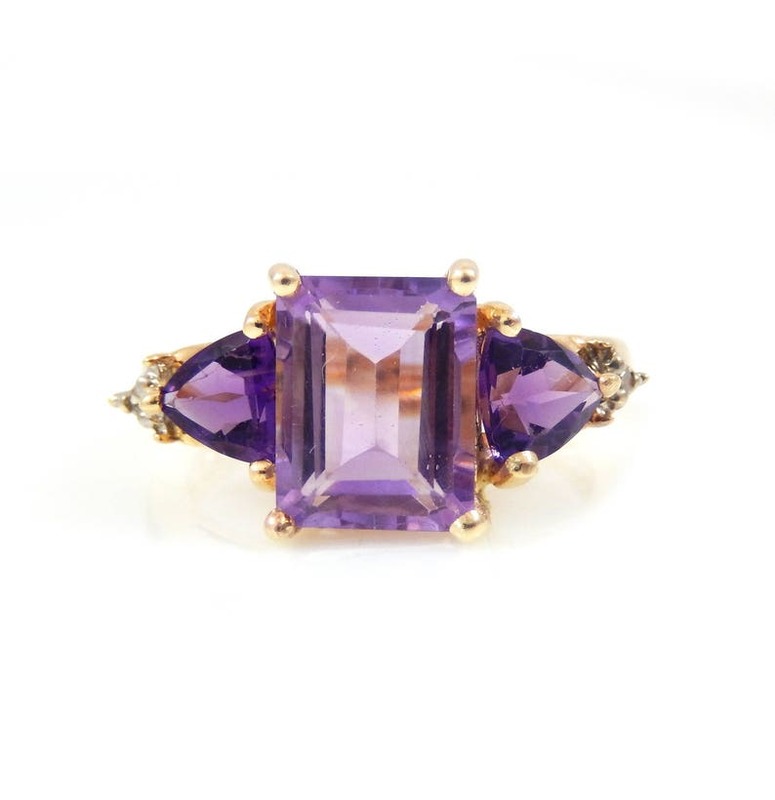 • Metal: This ring is crafted of 10K yellow gold. • Markings: It is marked on the inner band with '10K'. • Measurement: Front measures .375" (9.525mm) at its widest, and sits up .25" (6.35mm) off the finger. • Condition: The ring is in very good condition. Nearly all of our products are vintage or antique items which by their very nature are pre-owned. Because of this, our pieces are often worn or lightly worn. Please read our descriptions thoroughly and review all the pictures. Beautiful earrings, just what I wanted. Will follow this jewelry seller and certainly make more purchases. Love this ring and this shop! Helpful with questions and the ring arrived without a problem.Thank you! We ship via USPS Priority Mail and always include insurance on the item equal to it's worth. (The insurance is included in the sale price.) For more expensive items, this does mean an increase in shipping price but we feel it's better to be safe than sorry! Our processing time is typically 1-2 business days. We will notify you when we ship and include the USPS tracking number (when applicable). We now include signature confirmation for added security. Our business is to sell vintage or antique items. As such, these pieces have history and are often worn or lightly worn. We try our best to describe the condition of the pieces and include pictures from all angles, but if you feel we have made an error please contact us. We can work out a return or exchange from there. All returned items must be in the same condition they were shipped in. How old is this item? When was it from? We wish we could provide exact eras, dates, and histories but often this simply isn't the case. We receive a lot of our stock from estate sales or private sellers and this information doesn't usually come with an item. If we do specify an exact date or era, then it is usually based on the maker's mark or some other identifying trait you can trust. Some jewelry we are able to make approximations of based on their style (i.e. 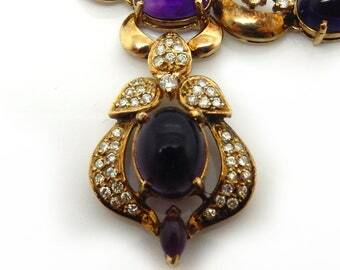 art deco styled jewelry is roughly from the 1920s) but this is by no means exact. Speculating and researching are part of the fun of antiques! Can this ring be sized? Most rings can be sized reliably up or down two sizes by a trusted jeweler. Some can be sized more than that depending on the design of the ring. The hardest rings to resize are those with filigree or designs that wrap around the entire ring. 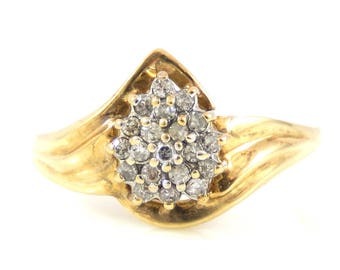 Eternity rings (rings with stones inset around the entire piece) cannot be resized. If in doubt, contact us and we'll let you know. We have plenty of experience. Why do I keep seeing all these tiny ring sizes? Do you hate me? We absolutely do not hate you! It's no secret that our ancestors were much smaller people and some of these antique rings are itty bitty. But that's no reason they should sit morosely in a dusty case when they could be worn on your finger, dazzling in the sun and living through new adventures! See the above FAQ answer to learn about resizing rings. We do have layaway. To set up a plan, please contact our store at 501-624-3370 Mon-Sat from 9am-4:30pm and Sun 9am-2pm.